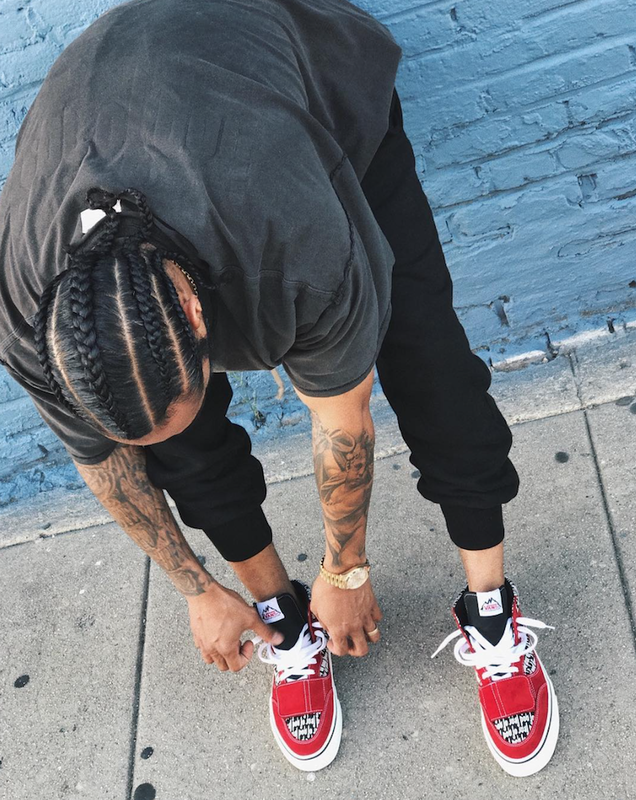 Fear of God creator Jerry Lorenzo took to Instagram to tease his upcoming Fear of God x Vans Vault collaboration. Back in April, he confirmed that there will be four designs scheduled to release, and the Vans Mountain Edition appears to be one of the four. This mid-top silhouette sports a Red-based upper with Fear of God branding on the toe box and side panels. Highlighted with its mid-foot strap closure, the shoe comes complete with Black tongues, White laces and matching midsole. As of right now there is no release date set for the Fear of God x Vans Vault 2017 Collection, but we’ll keep you updated with the latest. Until then, let us know what you guys think so far in the comments section.